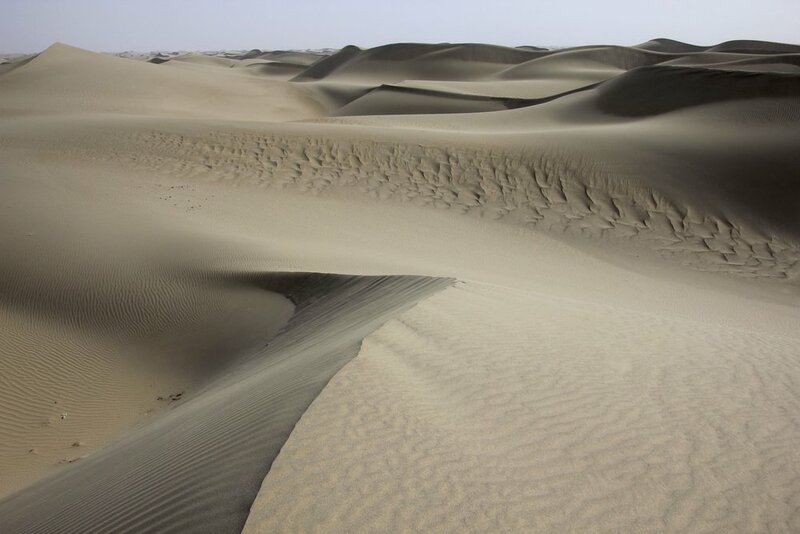 The Taklamakan Desert has very little water, therefore it is hazardous to cross. 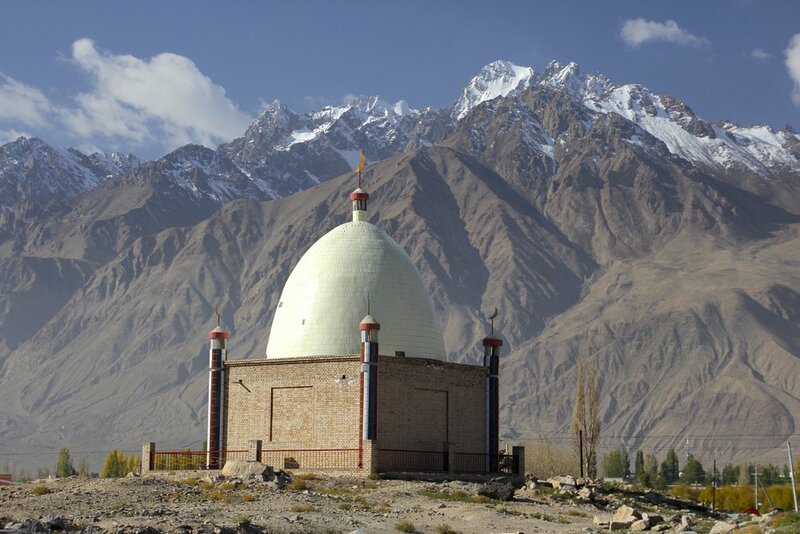 Merchant caravans on the Silk Road would stop for relief at the thriving oasis towns. 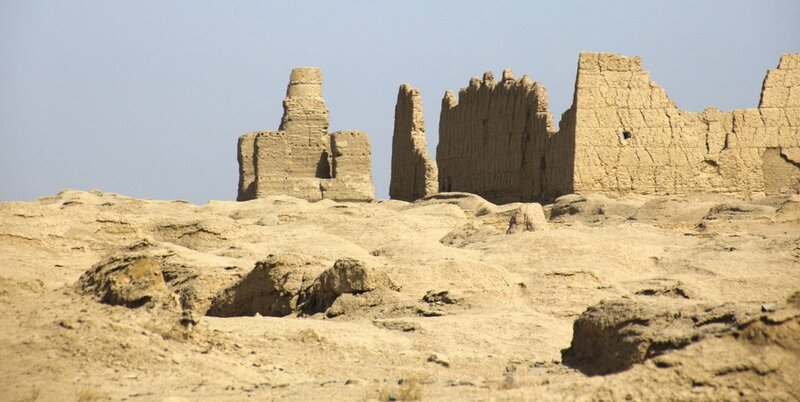 The Jiaohe Ruins, also known as Yar City near Turpan. Mural in one of the Kizil Caves. 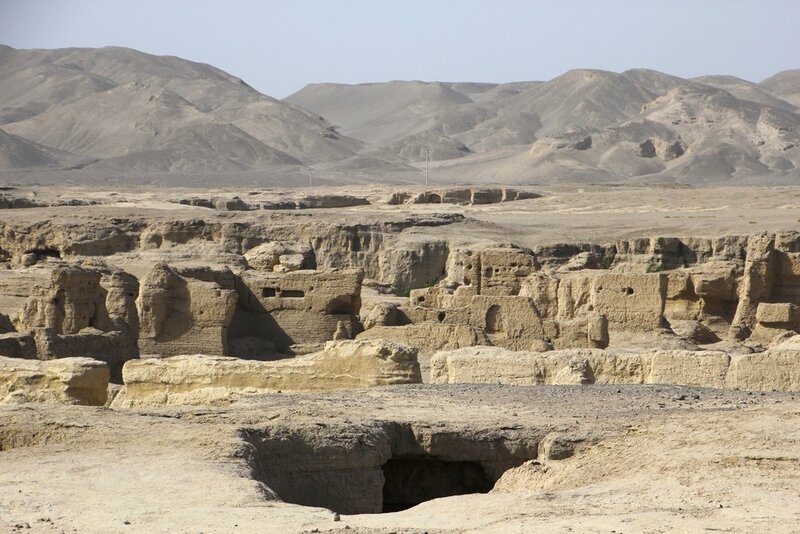 The Kizil Caves complex is the largest of the ancient Buddhist cave sites that are associated with the ancient Tocharian kingdom of Kucha. The earliest caves are dated, based in part on radioactive carbon dating, to around the year 300. The caves were probably abandoned sometime around the beginning of the 8th century. The Tarim mummies are a series of mummies discovered in the Tarim Basin in present-day Xingjiang, China, which date from 1800 BC. 'The Beauty of Loulan" - the oldest Tarim mummy. Buddhist stupa at Jiaohe Ruins. The Buddhist stupa of Gaochang city ruins. 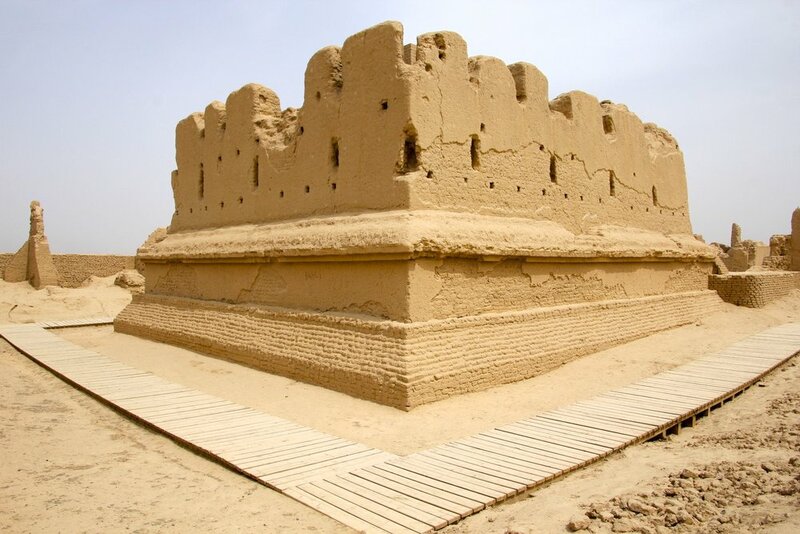 Gaochang city was built in the 1st century BC, it was an important site along the Silk Road. The old city defensive wall. 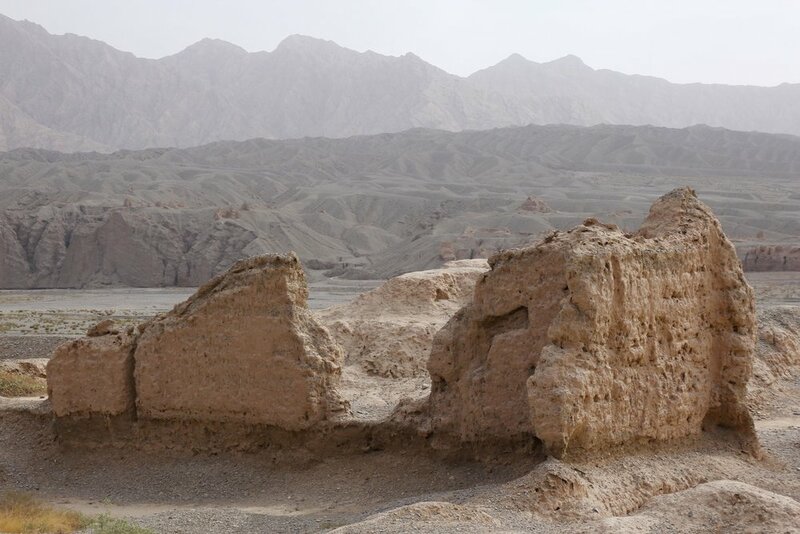 The Bezeklik Thousand Buddha Caves near Turpan. There are 77 rock-cut caves at the Bezeklik site. 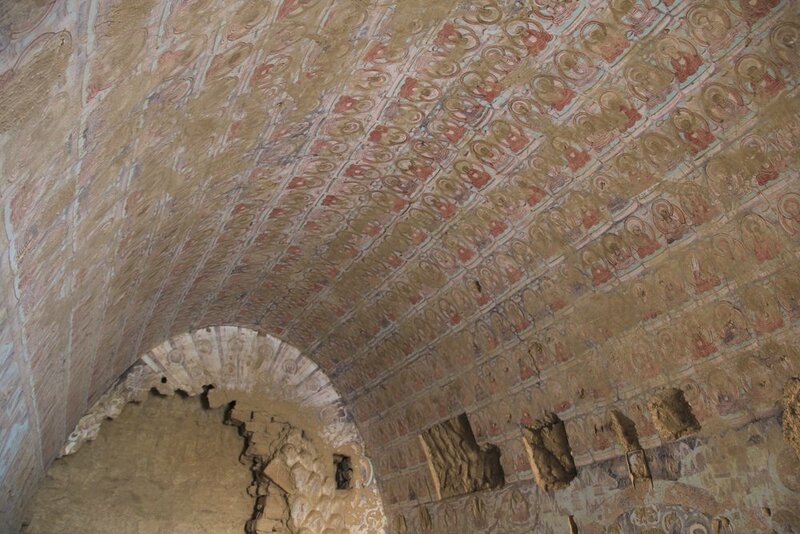 Most have rectangular spaces with rounded arch celings often divided into four sections, each with a mural of the Buddha. The effect is that the entire ceiling is covered with hundreds of Buddha murals. Old ruins near the Bezeklik Cave complex. The old caves near the Bezeklik Cave complex. The old and new Kucha. The Subashi Temple. The "Witch of Subashi" is a famous archaeological artifact, the mummy of a woman with a huge pointed hat, thought to be a representative of early Caucasian populations who lived in the region around the beginning of our era. Kucha Grand mosque is the third largest mosque in the region, was rebuilt in 1932 on the site of original 16th century mosque. 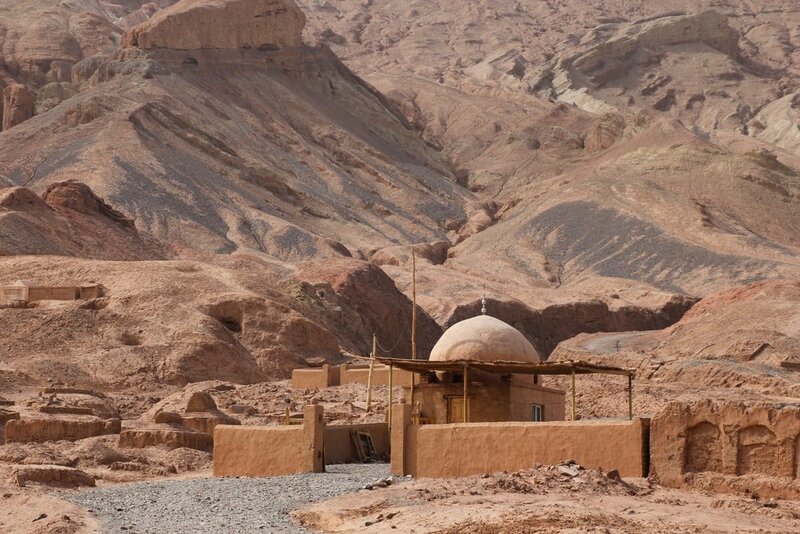 The Grand Mosque of Kucha. The prayer hall of the Grand Mosque of Kucha. Taklamakan is one of the largest sandy deserts in the world, ranking 15th in size in a ranking of the world's largest non-polar deserts. Taklamakan - means: once you get in, you never get out. At the Hotan animal market. 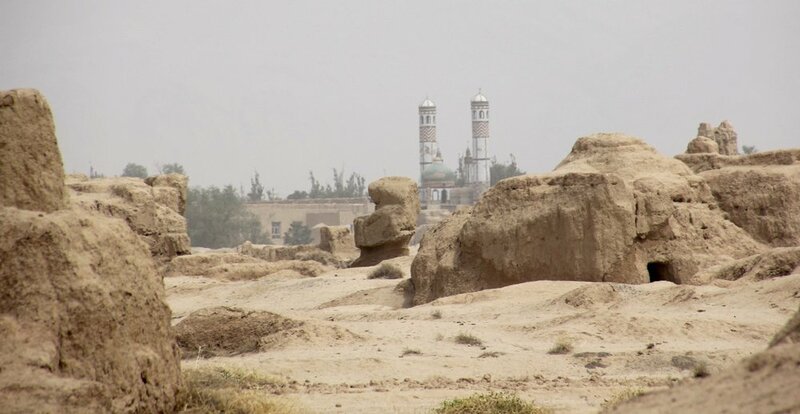 Hotan is is a major oasis town in southwestern Xinjiang. 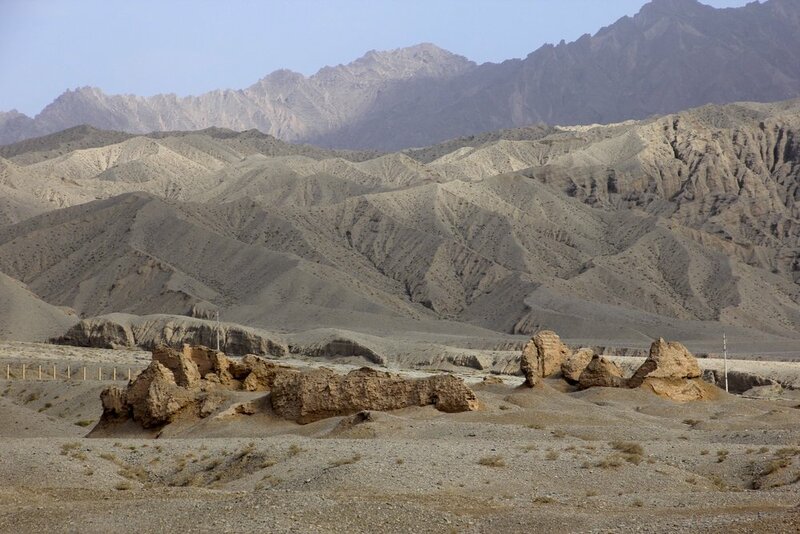 Hotan has always depended on two strong rivers - the Karakash River and the White Jade River to provide the water needed to survive on the southwestern edge of the Taklamakan Desert.